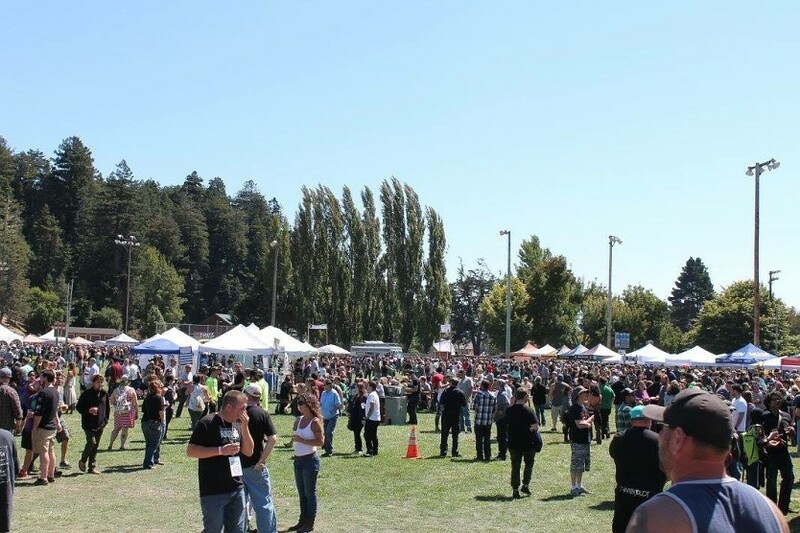 The 15th Annual Hops in Humboldt comes to Fortuna, California’s Rohner Park, Saturday, August 25, 2018. 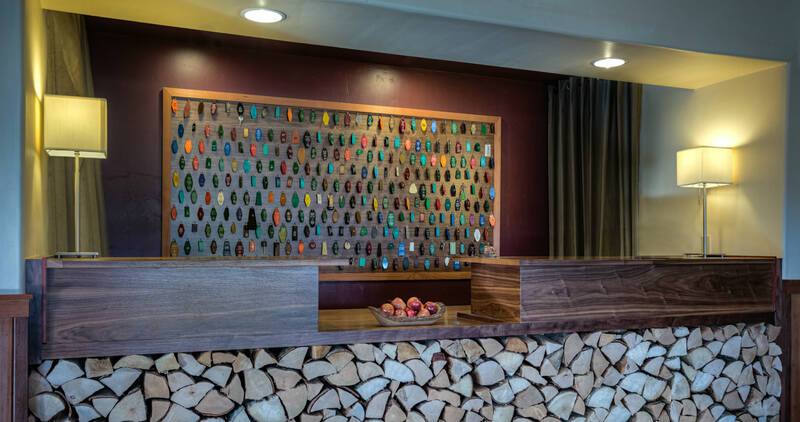 Staying at the Redwood Riverwalk Hotel, just 2 miles from Rohner Park, is the perfect hotel for this beer lovers’ summer getaway to the Redwood Coast. The largest annual beer fest in Humboldt brings over 50 breweries from as far away as Colorado and Michigan, plus plenty of live music and great food! Visit the Hops in Humboldt website for a list of all participating breweries and a map showing their locations. You can enjoy unlimited samples of the different micro-brews in your souvenir glass while you decide who deserves your vote for the people’s choice – the Taster’s Choice Award. Tasters and the ‘beer geeks’ awarding The Best of Hops in 2017, agreed that Knee Deep Brewing Company, Auburn, CA, was the best! Another popular choice was Six Rivers Brewery from McKinleyville, winner of both the Sponsor’s Choice and Best of Humboldt Breweries awards. Hops in Humboldt even gives an award for non-beers like ciders and root beers. Humboldt Cider Company from nearby Eureka took home this honor in 2017. The Fortuna festival features a large tented beer area and offers free bottled water all afternoon. You can listen to live bands like The Undercovers, and wander among artisan vendors offering everything from locally made jewelry to candles and clothing. Local food vendors will include a Mexican food truck, Humboldt Bull Doggies, wood-fired pizza, Indian tacos, and traditional country fair fare. You can even test your skills at games like Beer Bottle Ring Toss and Drink-O to win prizes like mugs, hats, and posters at Hops Games. Come for the best beer and enjoy the California’s Redwood Coast, too! The Redwood is located in the heart of what Lonely Planet has named the #1 on their Best Places to Visit in the U.S. 2018! The secret’s out about all the attractions near Fortuna, from the spectacular scenery along Avenue of the Giants and the Lost Coast to the Elk River and Fern Canyon. Local Area tells you about things to do, events throughout the year, maps, and more. August is nearly here, so “Hops” to it to reserve your hotel accommodations at the Redwood. Just go online, or give us a call at and our friendly staff will be happy you. General Admission: $40 in advance; $50 at the gate; non-drinkers $15 at the gate. General Admission Tickets may be purchased online or at several locations in Humboldt County including Fortuna, Eureka, and Arcata. Tickets may be purchased until August 24, 2018, unless they sell out earlier. VIP Tickets: $75 including VIP commemorative glass, admission one hour prior to general admission, the opportunity to visit with brewmasters, first grabs at brewery swag, etc. VIP tickets are available only only online. They may be purchased online or at a few of the Humboldt County locations, including Beverage Plus in Fortuna. PLEASE NOTE: You must be age 21+ to attend and must present a valid ID at the gate. Hops Games and many food vendors accept cash only. The event will be held August 25, 2018, rain or shine. There are no refunds. For additional information including directions, parking, and FAQs, visit the website’s ‘Survival Guide’. Drink for a Good Cause at Hops in Humboldt! All proceeds from the festival are given back to qualified recipient organizations in the community. In the past, over $425,000 in grants has been awarded to schools, youth groups, sports; senior services; drug and alcohol prevention and community projects. This entry was posted in Events, Festivals, Food & Dining, Outdoor Activities, Uncategorized and tagged CA redwoods hotel, California Beer Festival, Entertainment, Hops in Humboldt by admin. Bookmark the permalink.